Quan Le has over 20-year experience in high finance, technology and commodities. He grew up in Vietnam and was educated in Vietnam and Australia. 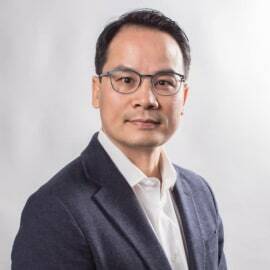 Quan spent over 10 years in Hanoi, Sydney and London, advising global financial services groups in complex financial products and strategy. In 2011, Quan founded growmoreX, an agriculture technology firm bringing proven crop know-how from Asia to Africa. Binkabi was born out of this unique confluence of real-life experiences and the need of commodity supply chain players in emerging markets. Quan is the mastermind behind Binkabi’s decentralised commodity exchange and Barter Block platform, based on its tokenisation protocol. Quan holds master's degree in applied finance and still walks the fields of Africa and Asia.